2018 has been marked as one of Digby Stone’s finest years. 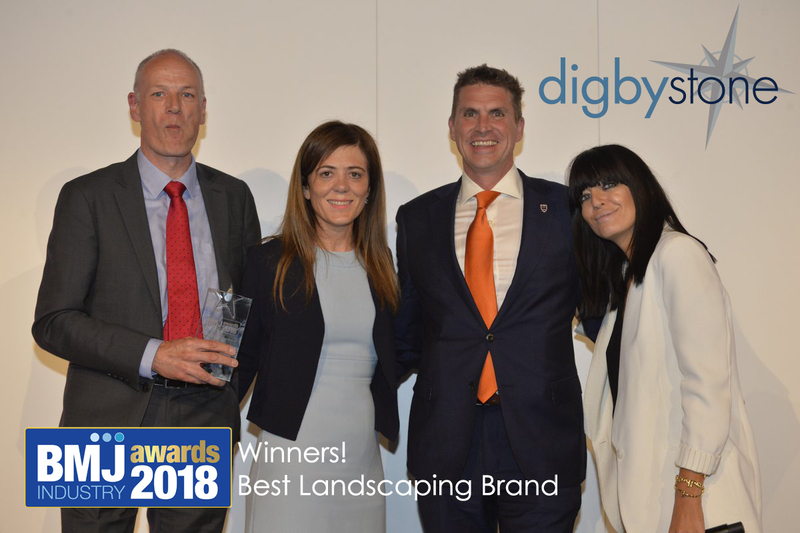 Following a fabulous summer and having seen some astounding end results with our products from very talented landscapers, Digby Stone is more determined than ever to continue thriving and growing in success. This hard work and dedication has this year been recognised, as we received the Builders Merchant Journal’s award for Best Landscaping Brand. It is humbling for our efforts within the industry to be acknowledged, and it has truly rectified the commitment of the Digby team. As a young company within a growing industry, it is exciting to flourish amongst other contenders. This award is all the more encouraging considering the fierce competition within our category, and makes the success of this achievement even greater. The night was a true celebration of and reflection on the construction sector and the companies working within it. The excitement and enthusiasm our colleagues within the industry have for their professions is emboldening, and only strengthens our resolve to continue sourcing and supplying the finest products to support and contribute to this growing trade. It was an opportunity to celebrate our own successes and commend those of our partners and customers, in which we could all come together and appreciate a big year for the industry overall. We would like to sincerely thank all who voted for us in the BMJ Awards and have supported our business, as well as our wonderful team at Digby HQ.